Local Music Festival Returns – Promising to be Even Bigger and Better than Last Year! By Craig Chisholm. Last year’s Enjoy Music Festival had it all – a great line up, a sunny day and a crowd that loved every second of the day. With top acts such as Example & DJ Wire, Green Velvet, Former Seahorses singer Chris Helme and Dusky joining up and coming local acts such as Emerald Sunday, Ransom FA, Colin Clyne and even an appearance from the Portlethen Pipe Band it proved to be a roaring success with everyone that attended. 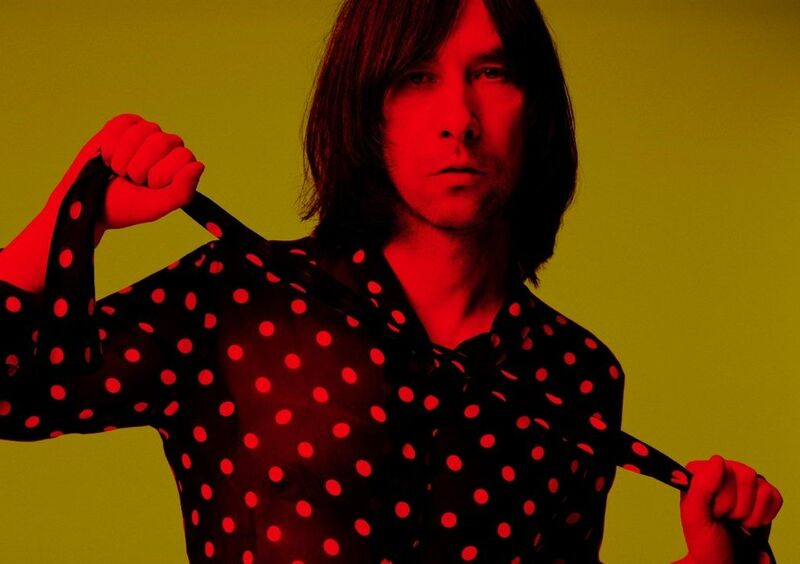 This year’s line is even better with headline performances from Scottish indie legends Primal Scream, a DJ set from Chase & Status, the iconic DJ John Digweed, local stars The Little Kicks, rappers Shy and DRS and premier Stone Roses tribute band The Complete Stone Roses. A full supporting bill across 5 stages will see a mix of bands and DJs entertain patrons whilst a fun fair, family entertainment area, a Market Place and an exclusive VIP area will give people places to hang out and have fun throughout the day. And all your food and drinks needs will be catered for in the numerous bars and the food village on site. So, with no T in The Park this year why not make it along to Hazlehead Park on Saturday 3rd June to kick off the summer in style and make this the biggest and best Enjoy Music Festival to date? Disarmament to celebrate One World Week. 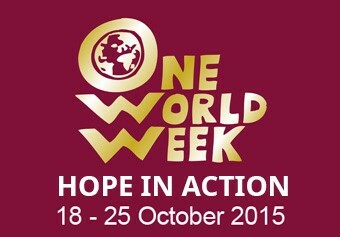 One World Week aims to bring people together across the world in the cause of Peace and Justice. The event is dedicated to all people suffering injustice worldwide. This will be a free event – Donations to Global Justice Now and CND. The Programme will be compèred by David Kelly and Kathleen Watt. Some fantastic blues acts have played in Aberdeen so far in 2015. Ian Siegal, Laurence Jones and King King graced the Jazz Festival and Robin Trower, with Joanne Shaw Taylor in support, and Kenny Wayne Shepherd all excelled at The Lemon Tree in April. Then Seasick Steve, supported superbly by My Baby, delighted the Music Hall audience last weekend. Graham Robertson of Blues Rock Aberdeen is keen to point out that the blues action continues, with the Stevie Nimmo Trio booked to play an afternoon show at The Tunnels on Sunday 3 May at 1500, a perfect way to celebrate the May Day weekend. As one half of Scotland’s highly respected Nimmo Brothers, Stevie Nimmo has built a deserved reputation over 15 years of touring and recording, and is a well-respected musician throughout the blues and rock scene. Following a successful Nimmo Brothers gig in Aberdeen in 2014, Stevie now brings his trio line up to the Granite City for a full-on electric gig. Stevie’s critically-acclaimed Wynds Of Life solo album in 2010 featured top Texas musicians, and now the first Trio album is on release to coincide with the tour. Songs previewed live during 2014 received great audience reaction. Virgil and the Accelerators will return to The Granite City playing at The Tunnels on Friday 15 May. With thanks to Jenny Entwistle, Chuff Media. Black Country 5-piece EofE are coming to play Aberdeen Downstairs on 23rd February, supporting UK metallers Glamour of the Kill. The tour will be in support of their brand new single ‘Stars In Hollywood’ (out 09/03) which is currently on the Kerrang! Radio and XFM playlists. 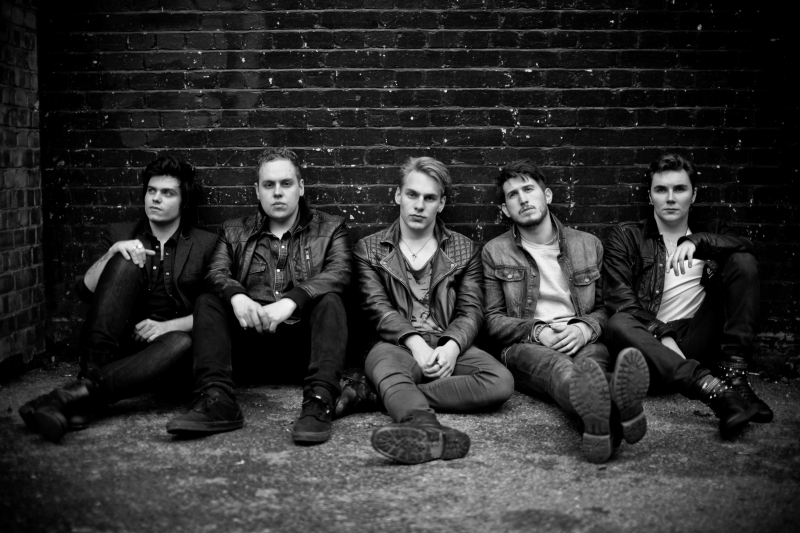 Last year, the band supported both McBusted and The Vamps on their mammouth UK tours, culminating 2014 with their own headline tour which resulted in them selling out their hometown date at Birmingham Institute. Following the unveiling of their debut track ‘Bridges’ in November, EofE, continue to leave their mark with the release of the band’s first official single, ‘Stars In Hollywood’, due March 9th. With their ever-growing army of devoted supporters, ‘Stars In Hollywood’ is a second helping of scintillating pop rock from EofE, sending out a real statement of intent. The song lyrically explores the theme of determination and hope, with aspirations of eventually leaving their hometown, moving on to bigger things and rising to the top. ‘Stars In Hollywood’ is the next chapter of the EofE story, placing the band firmly alongside the likes of fellow UK rockers You Me At Six and Mallory Knox . The Glasgow based five-piece have built a reputation as the tribute band for people who don’t like tribute bands with their high-octane shows up and down the country. Jericho Hill have notched up a string of prestigious appearances at summer festivals such as Wickerman, Belladrum and Blackpool’s annual gathering of all things Punk Rock, Rebellion. They are regulars at a number of venues across Glasgow and including a recreating of the Live at Folsom Prison LP at The Grand Ol’ Opry and a memorable two-show day in the chapel at the infamous Barlinnie Prison. Since their first gig in 2009, there have been a couple of changes in personnel but the current line-up has been settled for the best part of the last four years, and this gig is a bit of a homecoming for two of the band’s members. Leader, and the band’s very own Man in Black, Bill Wright will be fondly remembered by Aberdonians of a certain vintage as Lonesome Cowboy Bill, who, as the name suggests could be found in bars and clubs across town in the late 1980’s playing a set comprised entirely of Hank Williams and Johnny Cash numbers to the assembled throng, and also had a spell with The Rodriguez Brothers with Dave Wilkinson of local punk dignitaries Toxik Ephex. Bill’s first recruit, and the only other member of the current line up to have played in the band’s first gig in Glasgow’s Nice ‘n’ Sleazy, is Joe Whyte. 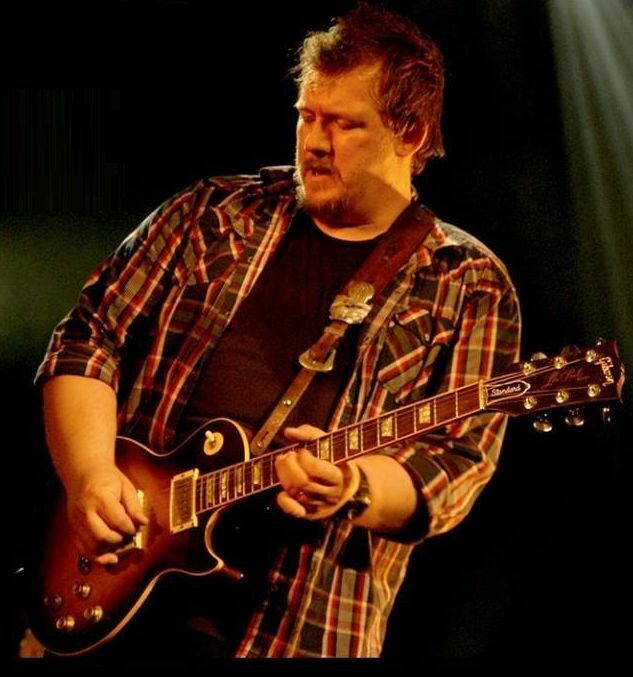 Joe has provided lead guitar styling in a number of bands over the years, including Jailhouse (with current Jericho Hill bassist Rab Christie), The God Fearing Atheists and Reaction. With a lovely line in Western shirts, brothel creepers and feverish fretwork, Joe was immediately sold on the idea of a Johnny Cash tribute band by Bill’s insistence that Mr Cash was indeed the original punk rocker. The second returning son is drummer Al Pritchard. His first gig with the band was in mid 2009, but he will perhaps be more familiar to the Aberdeen crowd from his time on short lived early 90s acid house casualties, Thirteen. 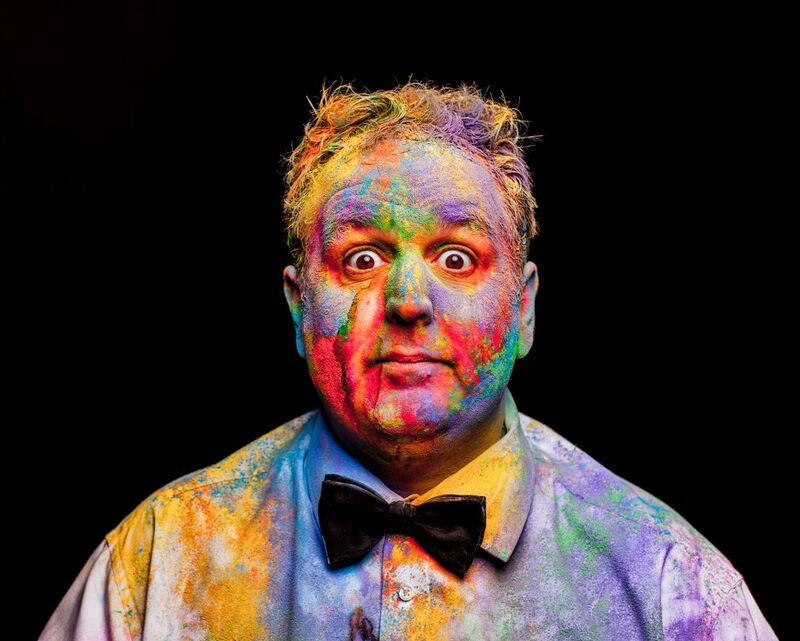 This will be Al’s first appearance in Aberdeen since Thirteen’s legendary Xmas Eve show in the Pelican Club in 1999. Bassist and chief joke writer is Rab Christie. He and Joe were both members of the aforementioned Jailhouse. As well as having made an appearance at Aberdeen’s Cafe Drummond, Rab has also appeared at both The Albert Hall and The 100 Club with Al Pritchard as one seventh of the now defunkt proto-folk combo The Boppin Heads. Filling the June Carter role, and lowering the average age of the band quite significantly is the wonderful Charlene Boyd. Star of stage and screen, Charlene’s infectious enthusiasm is an essential part of the Jericho Hill sound and they would not be the band they are without her. Make no mistake, this is not cabaret. No slavish copying for this band, they prefer instead to dial up the Man in Black’s inherent punk energy and attitude, for a blistering show covering his entire career. From the beginnings with the Tennessee Two, right through to the American Recording sets of Cash’s later years, Jericho Hill provide something for everyone, provided everyone doesn’t expect to sit down and nod their heads gently. Get up. Get Rhythm, Get down and get with it. With thanks to Chuff Media. After a great year that has seen them play the prestigious Reading and Leeds and Boardmasters festivals, Sunset Sons, are heading out on a UK headline tour to support their new EP ‘No Bad Days’ (Polydor). The tour starts at Cafe Drummond in Aberdeen on October 24th. 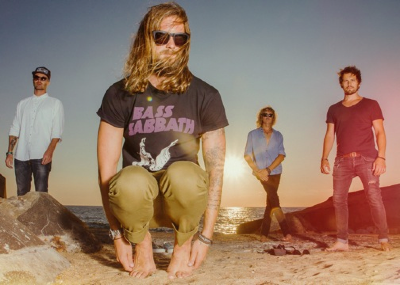 Shot in the idyllic French surf commune of Hossegor where the band currently live, the ‘Remember’ video perfectly encapsulates Sunset Sons, cutting between shots of friends and locals living in the town and blistering live performance footage. The tour includes a stop at the riverside venue Tamesis Dock for an intimate 150-capacity show before heading to Koko to play Club NME. ‘Remember’ is being released as part of the No Bad Days EP which is out on October 26th. This EP follows their debut release earlier this year, the Le Surfing EP which garnered much attention and firmly established Sunset Sons as the band to watch for 2015. Building on a dedicated community of fans in coastal UK towns, the band are picking up steam with huge support at national radio and champions in Fearne Cotton and Zane Lowe. 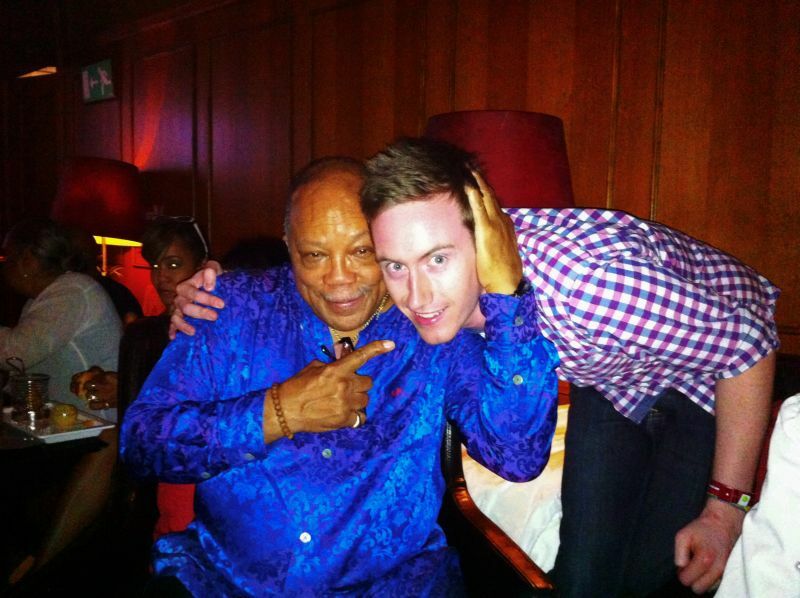 Ollie Howell with legendary film soundtrack composer and record producer, Quincy Jones. London-based drummer Ollie Howell, who brings his acclaimed quintet to Aberdeen next week, has some high profile admirers.With thanks to Rob Adams. Howell ‘floored’ Quincy Jones, the legendary film soundtrack composer and record producer who worked with Frank Sinatra and oversaw Michael Jackson’s multi-million-selling album Thriller, during a performance staged to feature some of the best students at the Royal Welsh College of Music and Drama in Cardiff in 2009. “Quincy’s one-quarter Welsh and was being presented with an honorary doctorate at the RWCMD when I was a student there,” says Howell. Howell has also been taken under the wing of the legendary former Miles Davis drummer Jimmy Cobb, who featured on Davis’s classic Kind of Blue album, and is the first musical recipient of a Sky award, having won a Sky Academy Arts Scholarship earlier this year. A television documentary will be screened on the Sky Arts channel during 2015 as a result. In between these and other career highs, which include winning the prestigious Peter Whittingham Development Award in 2012, Howell has had to deal with being diagnosed with a debilitating brain malfunction, which required urgent surgery. He has now fully recovered and named his first album, Sutures and Stitches, which was released on Whirlwind Recordings, after the experience. His quintet, which features tenor saxophonist Duncan Eagles, trumpeter Mark Perry, pianist Matt Robinson and bassist Max Luthert, appears at the Blue Lamp, Gallowgate on Thursday September 18 at 8pm. There’s a weekend of top punk bands playing next month at The Tunnels. Voice’s Andrew Watson previews this upcoming event. ‘Freedom of Aberdeen City’ is the area’s summer punk rock festival which is brought to you by DIY promoters Bile Yer Heid and Eck Ruffneck on Friday 4th at 18:00 and Saturday 5th July at 13:00. Friday’s lineup is Steve Ignorant & Paranoid Visions, Rubella Ballet, Shatterhand, The Cundeez (Dundee) and local noise punks The Obscenities. Paranoid Visions are Ireland’s most infamous punk bands, and have Steve Ignorant, the vocalist from Crass, guesting on this year’s tour. Rubella Ballet, who scored a Top Ten hit in the UK Indie Charts, will be playing their first Scottish gig since the early 1980s..
Saturday sees The Mob, Oi Polloi, Hooligan (Dublin), The System (Wigan), Black Light Mutants (Manchester), Battery Humans (Northumberland), Subvision (Fife), Down To Kill (Edinburgh), The Eddies (Dundee), Aberdeen City’s Toxik Ephex, Against All Flags (Inverness/the West Highlands), and Aberdeenshire’s Mark Ayling and Skizofrenik. The Mob are straight off the back of a USA tour, having recently reformed. 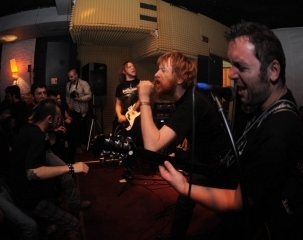 The south-west of England melodic punk band have not played Aberdeen since around 1983. Oi Polloi return to Aberdeen for the first time in three years and have new, original Gaelic-language numbers to play for the punks and skins. This will be a complete one-off event with many notable and influential political punk rock acts, coming from all corners of England, Ireland and Scotland. A Friday gig ticket is £15 for five bands, a Saturday gig ticket is £15 for thirteen bands. To see all eighteen bands over the two days duration is only £25. 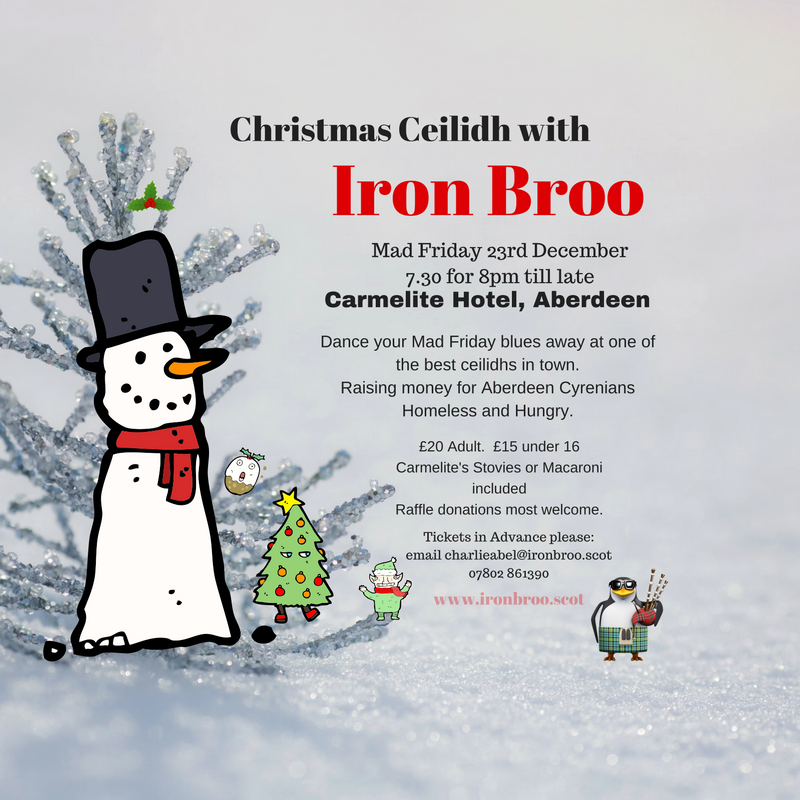 Tickets are available from Cafe Drummond, or from www.bileyerainheid.blogspot.com.